Later this week the city is going to throw the kitchen sink at its showpiece Christmas Lights switch-on event. In addition to the usual trees and decorations, various buildings around Hanley will be lit up or open late as a one-off – showing the city centre in a completely new light. They are calling it Light Night. It wasn’t our idea – other cities have beaten us to it. Nevertheless, there’s no denying it’s a great way of showcasing some of Hanley’s architectural gems and opening people’s eyes to places they wouldn’t ordinarily take notice of. Places like the Mitchell Memorial Youth Arts Centre, or, just up the road, the little-known AirSpace art gallery in that beautiful Victorian building on the corner of Broad Street. We have a museum housing wonderful archaeological treasures and one of the finest theatres in the country. Why shouldn’t we show them off? At this time of grim austerity and in the wake of so many job cuts some may argue that shelling out tens of thousands of pounds of taxpayers’ money on free entertainment, carnival costumes and even more baubles is an extravagance we simple can’t afford. But if you ask me it is money well spent and exactly the kind of event we should be staging to help lift spirits and generate trade. After all, we can’t consider ourselves to be a proper city if we aren’t able to put on a bit of a show to herald the start of the Christmas shopping bonanza. So let’s stop moaning about how long the selection boxes have been on sale for. Never mind how many times you have to listen to Slade on a loop in every shop. Who cares how much it costs to park on the multi-storey? The fact is we need the magic of Christmas now more than ever and we should enjoy every twinkling fairy light and every minute of the countdown – no matter how early it begins. If you are from Stoke-on-Trent and of a certain age then a trip up to Fountain Square on Thursday afternoon should bring back some fond memories. Yes, I know the other towns will all be having their own switch-on events but the truth is that it is shopping in Hanley that is a huge part of Christmas for generations of Potters. Like me, you’ll no doubt recall standing in the freezing cold at some time waiting for the Santa parade to go past. Like me you may also remember queuing for what seemed like an eternity to have two minutes with Father Christmas inside the wonderland that was the toy department at Lewis’s department store. As much as I love Burslem, so much of Christmas is wrapped up in Hanley for me, and even I can appreciate just how important the success of the city centre is to the local economy. That is why I’m hoping that Thursday’s shenanigans, coupled with the opening of the mammoth new Tesco superstore, will be just the shot in the arm Hanley needs. Events like Light Night are what reinforce Hanley’s status as the city’s retail heart and anything which helps to draws the crowds and encourages them to spend money has to be a good thing. 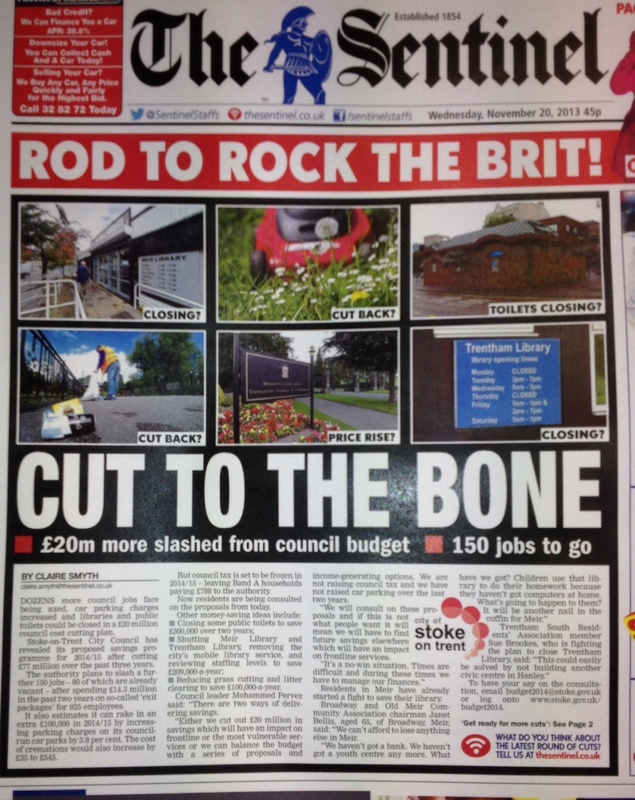 Helpfully, Thursday is also highlighting what work remains to be done in order to create a city centre to be proud of. If we can finally get the bus station rebuilt, restore Bethesda Chapel and think of a better use for the beautiful Town Hall then we will have a Cultural Quarter worthy of the name and a town capable of attracting shoppers from further afield as well as tourists. There are those who bemoan the commercialisation of Christmas and urge us to remember the real “reason for the season”. But why can’t we enjoy both? For many of us a day-long present-buying expedition to Hanley, a visit to Santa’s Grotto in the Potteries Shopping Centre or a night out to see the Regent Theatre’s pantomime are as much a part of Christmas as turkey with all the trimmings or listening to carols from King’s. For all its aesthetic problems, we should always take heart from the fact that the Potteries is blessed with a significant number of architectural gems. Nowhere are beautiful buildings more prevalent than in the Mother Town of Burslem. 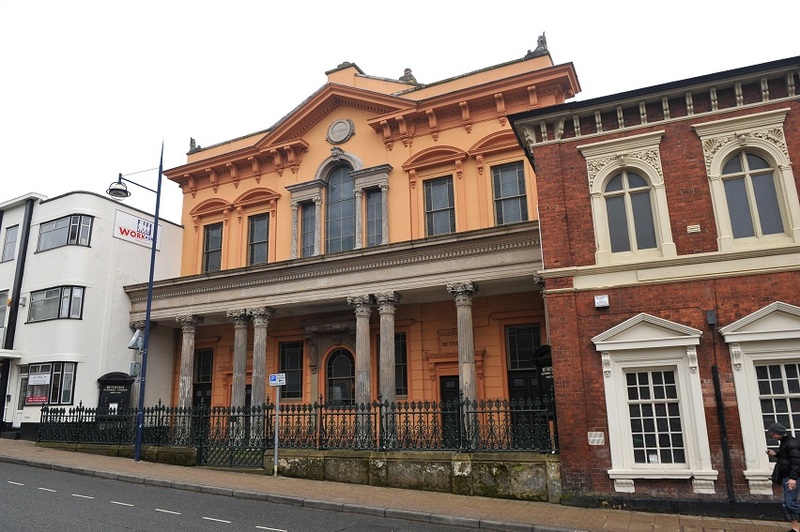 However, the city centre also has one or two special buildings which stand out from the urban sprawl – not least of which is Hanley Town Hall. New plans to transform it into a hotel might surprise and upset a fair few people, but on this occasion I think the North Staffordshire Regeneration Partnership and Stoke-on-Trent City Council should be commended for their ambition. Let’s face it, at present the grand old lady is as good as mothballed – barely used and far too big for the few council staff who rattle around inside. 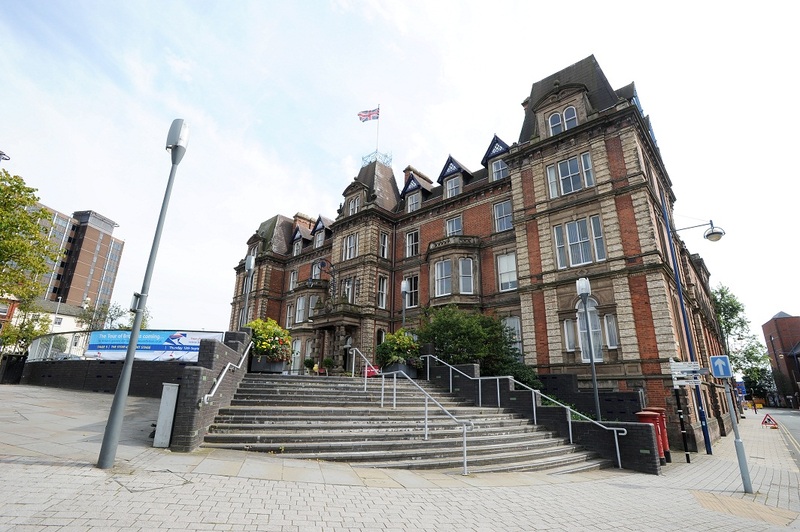 As the local authority scratches about for cost savings, it seems barmy for taxpayers to be maintaining such a huge building for current uses – namely housing the city’s register office and the council’s licensing, tourism and trading standards departments. If there’s one thing North Staffordshire is desperately short of, it is prestige hotel accommodation and where better to have it located than a cockstride from The Regent Theatre, The Victoria Hall and The Potteries Museum & Art Gallery? Positioned as it is in Albion Street, the town hall should be one of the jewels of our Cultural Quarter. As it is, it is like having a Rolls-Royce parked on your drive but never opening the doors. Make no bones about it, this proposal is nothing like the ill-fated abomination of turning Newcastle’s historic Guildhall into a pub. Let’s not forget that Hanley Town Hall was originally built as the Queen’s Hotel in 1869 and only became a civic building some 17 years later. (There is no truth whatsoever in the rumour that the hotel’s owners sold up because they were so fed up of waiting for the bus station to be redeveloped). Attracting visitors to Hanley and making them want to hang around is not simply a question of having places of interest to visit, good transport links and somewhere for them to lay their head. It’s about creating the right ingredients for a memorable experience – particularly if we want them to leave with a good impression and talk the place up. By the same token, us locals want to have pride in our city centre. In simple terms, that means getting shot of derelict buildings and bringing into use sleeping giants like the town hall. Of course, to make an upmarket hotel in Hanley viable then we have to present visitors with reasons to stay the night. With two cracking live entertainment venues and a museum which will soon house the Staffordshire Hoard, this isn’t beyond the realms of possibility. However, as we’ve seen with the chequered history of The George in Burslem, hotels need more than a grand façade to turn a profit. I would suggest that key to converting the town hall into a successful hotel would seem to be the transformation of the area around the building. 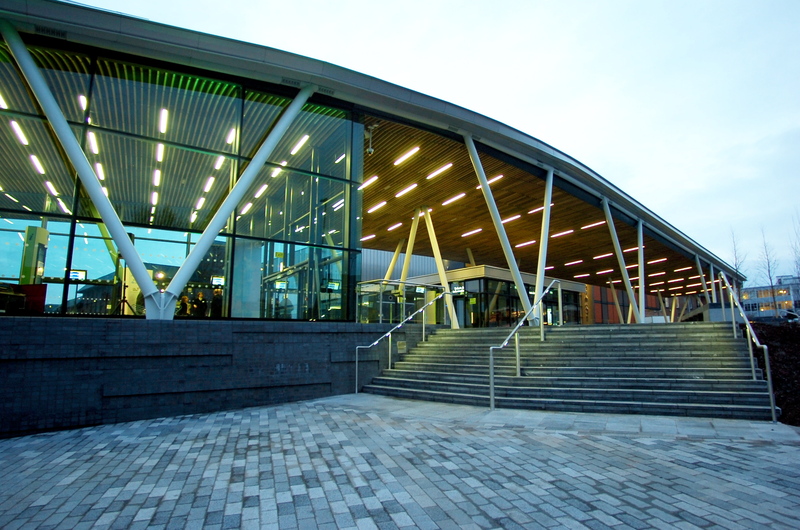 That means, of course, the great carbuncle that is Hanley bus station has to come down – something which we’ve now been promised (again) will happen. We are safe in the knowledge that, as a Grade I-listed building, the town hall won’t become a victim of environmental vandalism. After all, there’s surely only room for one Ceramica in any city. Urban regeneration is more than simply demolition followed by new-build. It is about conserving and breathing life into our heritage buildings so that they become more than something nice to look at as you wander past. That being the case, I am convinced that if we want to create a genuine Cultural Quarter worth the name then buildings like the town hall and poor old Bethesda Chapel have a key role to play.